Their recorded actions were more political than spiritual, killing members of the Abbasid Caliphate. They racked up a good score, and also went after Europeans such as Count Raymond of Tripoli (the father of this gentleman), Conrad of Montferrat, Albert Avogadro the patriarch of Jerusalem (1149 - 1214), and they even stabbed (but didn't kill) the prince who would become Edward I of England. In December 1253, the invading Mongol Empire attacked the Assassin stronghold, Alamut, in the mountains. The Assassins were driven out, and although they did return in 1275, their success was brief. They were driven out for good within months and dissolved as an organized group. The Modern English word "assassin" comes from what they were called, Hashshashin. "Everyone knows" that they were called that because they consumed hashish before conducting their missions. If this were that common a practice for them, however, they might not have been able to operate effectively. The term we find being applied to them is hashishiyya, used by a Fatimid caliph in 1122. The title is given with no definition. 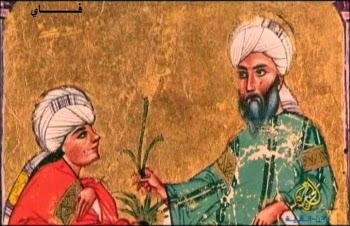 Later English speakers made the hashish connection, but this betrays an ignorance of Arabic. It is in fact a common derogatory term, and can mean "low-class rabble" or "social outcasts." On 28 April in 1192, Conrad of Montferrat was assassinated. Conrad's leadership was not admired by all Europeans. Conrad's later position as King of Jerusalem was contested by the supporters of Guy of Lusignan, who included King Richard of England. Conrad was supported by Philip II of France (a childhood rival of Richard's), and Leopold V of Austria—a name well-known to those familiar with Richard's story: Leopold is the one who imprisoned Richard later, when Richard tried to return to England. All the details of the political debate are not important here; suffice it to say that Conrad's disputed kingship was finally put to a vote, and the barons chose him over Guy. Two days later, however, he was attacked by two assassins. Guards killed one and captured the other, who claimed under torture that he was hired by Richard. Historians have other suspects for the hiring as well. Whomever hired them, however, the fact remains: this is one of the earliest references to a European dying at the hands of the Hashshashin, the group from which we derive the modern English "assassin". But you might not know what you think you know about them, and we will look into that tomorrow. *William of Montferrat is well-known to 21st century computer gamers as one of the nine Templars in the game Assassin's Creed. The Modern English word "stint"—meaning to be frugal about something, or to limit one's access—originally referred to the limitations put on how much grazing each tenant could enjoy. 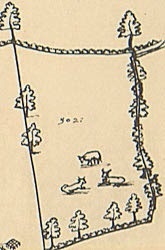 In the Middle Ages, the land on which many grazed their animals was part of their lord's estate. Only the farmers who were tenants on his land were allowed to graze their animals there. Outsiders trying to graze their animals could be hauled into court and fined. It was not just open land that could be used for grazing. Once the fields were cleared, animals were allowed to graze on the stubble. There were rules, so that no one had a head start on this grazing. In one instance, the church would ring its bell when the harvest was done and grazing was allowed. Grazing could continue until 15 October, when the land had to be prepared for the spring planting. Once crop rotation was being practiced, there was always a fallow field that animals could be put on afterward. There are still many commons in England today, maintained as part of English tradition. We have the story, handed down from Bede, that Pope Gregory I sent a mission to England in 597 to convert the population to Christianity. The 40 missionaries were allowed by Æthelbert of Kent to preach there, and the conversions began. Æthelbert himself converted some time prior to 601. The story goes that the pope wrote letters to England in July of 601, with what was considered extraordinary advice at the time. He had written to Æthelbert , asking him to destroy pagan shrines, but a separate letter to the missionaries took a different approach. Rather than engage in forcible conversions, which usually required converting the ruler first and then having him force his entire nation to convert en masse, Gregory advised them to use persuasion and a gradual conversion process. Rather than destroy pagan shrines and temples, Gregory suggested converting them. Instead of stopping pagan sacrifices, they should be made into Christian festivals. He suggested that the pagan Anglo-Saxons be considered as if they were the early Israelites, and introduced to early Jewish practices, like building huts during the Jewish festival of Sukkot. Gregory thought they could be "gradually" introduced to Christianity this way. The source of this advice is the Epistola ad Mellitum ["Letter to Mellitus"]. Mellitus was head of the missionaries in a second group in 601 (the first group was headed by Augustine). He brought a great number of books and other religious materials with him. Mellitus was made the first Bishop of London. 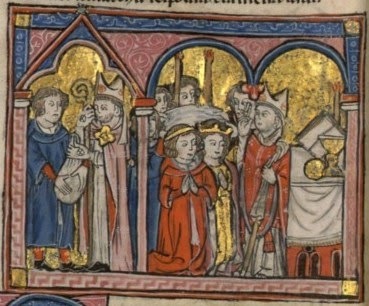 Mellitus' patron was King Sæberht of Essex (Æthelbert's nephew, whom Mellitus baptized), but after Sæberht and Æthelbert died in 616, Mellitus was exiled by Sæberht's three pagan sons, and went to Gaul. 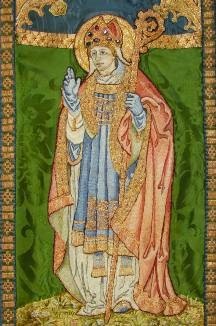 Æthelbert's successor converted to Christianity a few years later, however, and Mellitus returned to become the third Archbishop of Canterbury. As archbishop, he is supposed to have performed a miracle: after a fire started in the town and threatened the cathedral, the wind changed direction when Mellitus entered it and saved the building. Mellitus died on 24 April in 624 and was buried in St. Augustine's Abbey in Canterbury. He was considered a saint from shortly after his death. Bede tells us that Mellitus suffered from gout, and gout sufferers used to be brought to his shrine looking for a cure. Her predecessor, her half-brother Henry, was not a careful ruler: big on spending money, not big on maintaining the rule of law (hence the attempts by the nobles to dethrone him, using Isabella as their focus). Isabella had to get tough to restore order to Castile. Her first reform was to co-opt La Santa Hermandad [The Holy Brotherhood]. The Brotherhood was a feature of medieval Castile in which local armed men formed vigilante groups to maintain order in the communities. Isabella developed the Brotherhood into a local police force for each territory. They were paid by a new tax. The province of Galicia, known for highway robbery, had 1500 robbers driven out by a special force she sent with the task of cleaning up the area. She also needed to restore the financial health of the country after Henry's excesses. Henry raised quick cash by selling property at low prices. The decision was made to purchase them back at the same low prices. Estates that Henry gave to others as gifts were taken back without remuneration. Some nobles who wished to regain the property could do so by paying a sum worthy of the property; this helped fill the treasury. She also reduced the number of mints making coins, which reduced rampant inflation. Her final change was in the area of royal engagement. Isabella and Ferdinand spent some time each Friday allowing citizens to come to them with complaints. This was a form of contact with royalty and royal concern for the constituency previously unknown in Castile. The year 1492 is, however, the year of events for which history usually thinks of her. Schoolchildren know her for her support of Columbus, and others condemn her for the Alhambra Decree, but she was the best ruler her country had seen in awhile. *Pulgar, Crónica de los Reyes Católicos, trans. in David A. Boruchoff, "Historiography with License: Isabel, the Catholic Monarch, and the Kingdom of God," Isabel la Católica, Queen of Castile: Critical Essays (New York: Palgrave Macmillan, 2003), p. 242. First page of the Textus Roffensis. The water damage is from the early 1700s. The Textus de Ecclesia Roffensi per Ernulphum episcopum ["The Book of the Church of Rochester through Bishop Ernulf"] has been voted England's Best Hidden Treasure by the British Library. It can currently be found in the Medway Studies Centre in Rochester, England, and online. 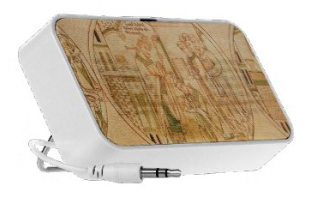 It is 235 vellum leaves from two manuscripts written in the early 1120s, mostly by a single scribe. What makes it so special? The subject matter, partly. 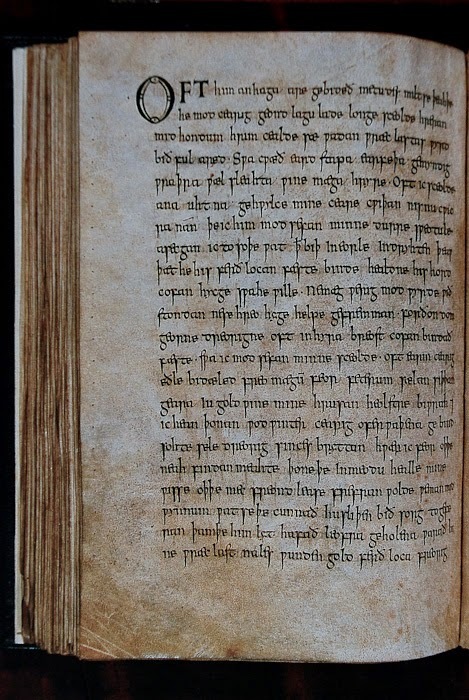 The first manuscript that comprises the Textus Roffensis is is a copy of the laws during the reign of Æthelbert. By creating this record, we have the earliest known example of an (Old) English document,* since the laws of Æthelbert were assembled by 604. And the English is rare: most Anglo-Saxon documents are in the dominant West Saxon dialect, but the Textus is in the Jutish dialect of Anglo-Saxon. Æthelbert's laws were referenced by Alfred the Great when he created his own laws, and were mentioned by Bede. The Textus was clearly only one of a number of manuscripts that existed to carry these laws to others. The Textus also has laws from Æthelbert's successors. Wihtred of Kent (reigned c.690 - 725), who died on 23 April 725, created many laws that gave rights to the Church. For example, the Church was free from taxation, and a bishop's word was considered as good as a king's oath. Compiled as it was in the 1120s, the Textus Roffensis is seen as a reminder to the Norman rulers of what rights and privileges were held prior to the Norman Invasion that they were promised would be respected. *Technically, it also qualifies as the earliest example of a Germanic language document, so no other German-language records exist from the early 7th century. Everyone knows about Isabella of Castile and how she financed Columbus' excursion to discover a new route to Asia. Recent posts on this blog have revealed her anti-semitism. There was a long road, however, before she reached the events of 1492. She was born on 22 April 1451, and there was never any speculation that she might one day rule Castile. She had an older half-brother, Henry, who was 26 when Isabella was born. When Henry succeeded their father (John II of Castile) in 1454, Isabella and a younger brother, Alfonso, were sent with their mother to live in a run-down castle in another region, away from the capital. Despite the simple accommodations, Isabella was raised by her mother to be educated and devout. 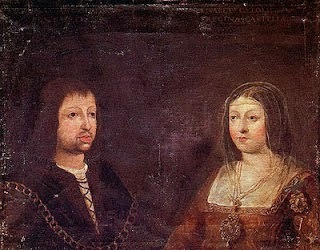 In 1462, Isabella and Alfonso were brought back to the royal palace in Segovia. Isabella was put in the queen's household where her education became more extensive. When Alfonso died in 1468 (probably from plague), Isabella inherited his possessions. Castilian nobles wanted to use Isabella as a fiscal point to dethrone Henry, but Isabella wasn't having it. She negotiated a settlement with Henry: she would not become a threat to his throne, he would name her heir-presumptive. Moreover, he would not force her into a political marriage of which she did not approve, but she would not marry without his consent. Years earlier, at the age of 6, she had been betrothed to Ferdinand, son of the king of Navarre. Ferdinand's father and Isabella's brother were trying to make a firm alliance between their two countries, but their relationship did not last. Years later, however, after numerous other potential betrothals in which Isabella invoked her old agreement to avoid a forced marriage, she contacted Ferdinand secretly and expressed her wish to marry him. There was a problem with consanguinity, the two being second cousins, but a papal bull from Pius II—thanks to the efforts of Cardinal Rodrigo Borgia (later Pope Alexander VI)—gave them a dispensation. Isabella, on the pretense of visiting her brother's tomb, left Henry's court. Meanwhile, Ferdinand crossed into Castile while in disguise. The two met up at the town of Valladolid. * Having successfully outmaneuvered her brother, the pair were wed on 19 October 1469. Isabella was 18, Ferdinand was 17. *They later made valladolid their capital city. Christopher Columbus died there. We touched on the Lisbon Massacre, in which between 1000 and 2000 (and maybe more) Jews were slaughtered, in the post on Crypto-Jews. Here is a little more detail. To be precise, no "Jews" were slaughtered in Lisbon; technically, they were all "New Christians," Jews who had grudgingly converted years earlier, rather than be expelled from their home. Portugal in 1506 was in dire straits for everyone, however, because drought had brought famine; also, a plague was sweeping through. The people gathered to pray for deliverance from these problems. History tells us that one of the devout, while praying at the Saint Domingo of Lisbon Convent on 19 April 1506, said he saw the face of Christ appear on the altar. This miraculous manifestation was taken as a sign that better times were coming. One parishioner who was present, however, said it was probably just a trick of reflection. This second opinion came from a New Christian. The devout Christians around him objected to this mundane interpretation, and they dragged him outside and beat him to death. Suddenly, blaming New Christians for their troubles seemed like a good idea. It was reinforced by Dominican friars—by now the Dominicans were thoroughly entwined with the papal inquisition—who preached forgiveness of all sins for the previous 100 days to whomever killed heretics. The result was about 500 deaths that day. New Christians hid in their homes, but by Monday the fervor of the crowd could not be stopped. They dragged New Christians from their homes and burned in public. By Tuesday the number of victims had approached 2000. King Manuel had been out of Lisbon, avoiding the plague. When he learned of the slaughter, he sent emissaries to stop it. Major malefactors were tried and had their possessions confiscated; some were executed. The two Dominicans were defrocked and burned at the stake, meeting the same fate that they had just meted out to hundreds of others. I was contemplating a post about Easter, which takes place this Sunday. Since Easter takes place on the date 4/20, however, and since "4/20" is a counter-culture reference for smoking marijuana, I started wondering about the use of marijuana in history, specifically (of course) in the Middle Ages. Here we recognize the lethargy that accompanies cannabis use. 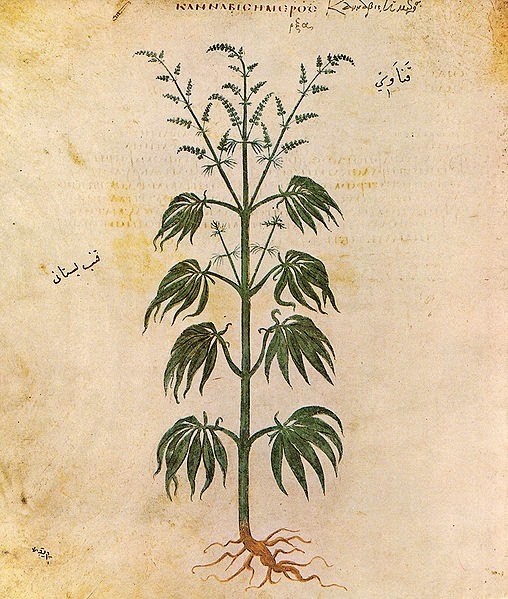 Knowledge of cannabis was certainly available to the Middle Ages, but there is no evidence that it was used in a manner similar to its contemporary recreational use. King Richard was a great supporter of poetry, and public readings were not uncommon. In a world without television, radio, movie theaters, or even plays, public entertainment came from song, dance, or the written word. Readings at court of new poetry were a popular affair. Monasteries favored public reading as well. The Rule of St. Benedict mandated readings during meals, both to discourage idle chatter and to educate monks. Hearing a text read was supposed to be as educational as reading it yourself: the listener was "reading" with his ears and experiencing the same words, and therefore "knew" what was read as well as the person whose eyes were actually on the page. At universities like Oxford and Cambridge, students attended lectures that could last for hours, but they were not supposed to take notes. Listening and thinking was supposed to be sufficient for learning. When books became inexpensive to print and "everyone" could have a copy of the text to study and read, I think this "active listening" skill gradually lost importance. 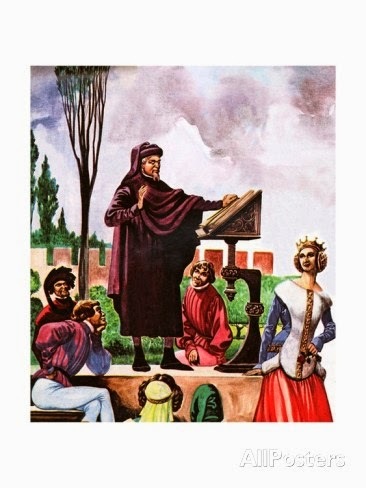 *I think Chaucer wanted to "beat" Boccaccio's Decameron, with its ten people each telling a new tale each day for ten days. As best we can determine, Symposius was a 4th- or 5th-century author of the Ænigmata, a collection of 100 Latin riddles. The oldest known collection of riddles, they have influenced other riddle-makers through the ages, such as Aldhelm. sat at council with wise hearts. and two sides. Say what I’m called. Quidquid habet vendit, quod non habet unde parabit? Whate'er he has, he sells. Whence comes what don't appear? The answer is the same for both, and I will give it to you in footnotes, along with the answers to the rest. Enjoy. that feeds the cattle; has many teeth. hunts along walls; reaches for roots. The Vercelli Book, opened to "The Dream of the Rood"
The post on The Exeter Book mentioned that it was one of four sources of Anglo-Saxon literature. So what about the other three? One of them, the Nowell Codex, has been mentioned before—but you won't find it in this blog under that name. The Nowell Codex is named for Laurence Nowell (c.1515 - 1571), who was an antiquarian and early scholar of Anglo-Saxon literature. Where he found the Codex is unknown, but he wrote his name on it. Later it passed into the hands of Sir Robert Cotton (c.1570 - 1631) and became part of the Cotton Library. There it was catalogued on a shelf under a bust of the Emperor Vitellius, which is why we know it as Cotton Vitellius A.xv. 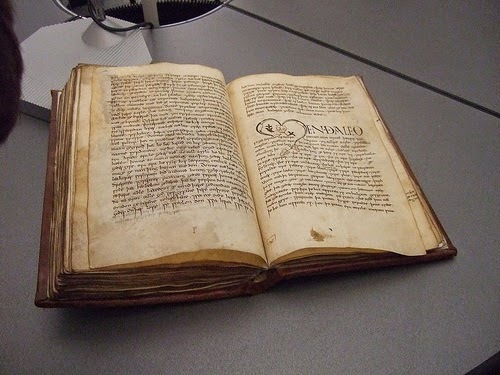 It contains the only copy in existence of the epic poem Beowulf. Another important source of Anglo-Saxon literature is the Vercelli Book. The Vercelli is the oldest manuscript, dating to the late tenth century. Written with very precise penmanship (no doubt by a monk), it contains a collection of religious texts. It sits in the library of Vercelli in northern Italy; Vercelli was a likely stop for pilgrims traveling to Rome and beyond, and its presence there is presumed to have been intended for the use of Anglo-Saxon pilgrims. Finally, the Cædmon Manuscript is called that because it is presumed (hoped? fantasized?) to have been produced by Cædmon, a man whom legend says went from illiterate monk to brilliant poet after praying for inspiration. (It is more seriously referred to—by scholars who prefer accuracy over legend—as the Junius Manuscript, after Franciscus Junius who first published it in 1655.) It contains religious works which have been named—based on their contents; none of the writings mentioned here have titles—Genesis, Exodus, Daniel, and Christ and Satan. Each of these deserves its own time in the spotlight, but they will have to wait for another day. The Exeter Book was mentioned as the source of two poems about St. Guthlac. It holds much more than that, however. 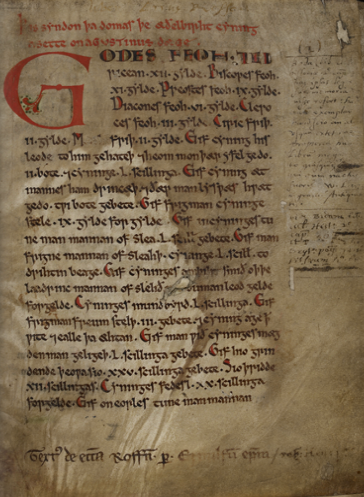 Of the four manuscripts we have of Anglo-Saxon literature, the Exeter Book is the largest collection in existence of Anglo-Saxon poetry, including all the Anglo-Saxon riddles we have (but one), and several poems that survive nowhere else. The original date of composition is unknown, but it is assumed to have been produced as part of the Benedictine revival in the 10th century, when Benedictine monasteries strove to record and preserve manuscripts of all kinds. Its existence can reliably be traced to the will of Bishop Leofric (1016 - 1072), who left it to the library of Exeter Cathedral in 1072 along with the rest of his impressive (for the time) collection. Exeter was one of the largest scriptoria in Leofric's lifetime, where manuscripts were created and copied, so it is surprising that this particular manuscript seems to have been so abused. 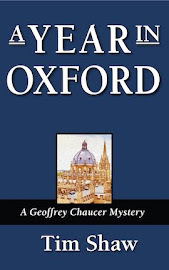 Several pages at the beginning are believed missing along with the cover. Several pages are scored as if the book was used as a cutting board. One reader of the book clearly set his drink down on the page, leaving a stain, and several pages at the end of the book show burn marks. I have heard of a something-or-other, growing in its nook, swelling and rising, pushing up its covering. Upon that boneless thing a cocky-minded young woman took a grip with her hands; with her apron a lord's daughter covered the tumescent thing. and depicts the ordination of Guthlac? You can! Today is the feast day of an English saint, Guthlac of Crowland (673 - 714). 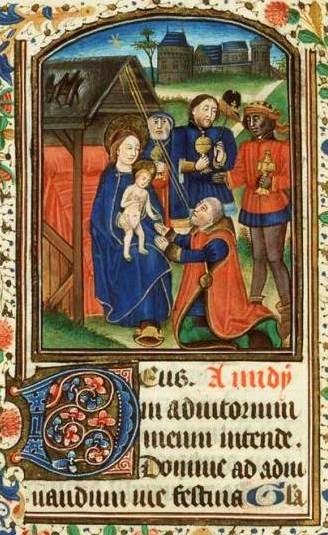 Like many saints of his time, he was born into a noble family and chose a religious life either out of piety or because he was a younger son who was not in line to inherit much (and he needed some means of support that did not involve starting his own farm). His sister, Pega, is also considered a saint. Now there was in the said island a mound built of clods of earth which greedy comers to the waste had dug open, in the hope of finding treasure there; in the side of this there seemed to be a sort of cistern, and in this Guthlac the man of blessed memory began to dwell, after building a hut over it. From the time when he first inhabited this hermitage this was his unalterable rule of life: namely to wear neither wool nor linen garments nor any other sort of soft material, but he spent the whole of his solitary life wearing garments made of skins. So great indeed was the abstinence of his daily life that from the time when he began to inhabit the desert he ate no food of any kind except that after sunset he took a scrap of barley bread and a small cup of muddy water. They were ferocious in appearance, terrible in shape with great heads, long necks, thin faces, yellow complexions, filthy beards, shaggy ears, wild foreheads, fierce eyes, foul mouths, horses' teeth, throats vomiting flames, twisted jaws, thick lips, strident voices, singed hair, fat cheeks, pigeons breasts, scabby thighs, knotty knees, crooked legs, swollen ankles, splay feet, spreading mouths, raucous cries. For they grew so terrible to hear with their mighty shriekings that they filled almost the whole intervening space between earth and heaven with their discordant bellowings. Guthlac was a very popular figure in British history. The oldest surviving collection of Anglo-Saxon poetry, the Exeter Book, contains two poems, called Guthlac A and Guthlac B; B is based on the Vita, but A comes from some other source. A collection of illustrations of events in Guthlac's life was created after the Norman Conquest and put into the Orderic Vitalis. Today, a Guthlac Fellowship unites the several churches and parishes dedicated to Guthlac. *Reminds me of Parseltongue from the works of J.K.Rowling. The nice thing about astronomy is that some celestial events are so predictably cyclical that they can help confirm dates in history, or be spotted in the historical record. Halley's Comet has appeared numerous times while human beings have been on Earth, and many of those appearances have been noted by record-keepers. BCE records suggest Halley's was spotted as early as 467 BCE by the Greeks and the Chinese, but the first report detailed enough to be certain of Halley's pattern was in 240 BCE by a Chinese chronicle. The 1493 Nuremberg Chronicles used many early sources, one of which mentioned the comet appearing over Europe in 684. The 837 approach—recorded by astronomers in Germany as well as across the Middle East and Asia—was the closest the comet ever came to earth: a mere 3.2 million miles away, and took place on 10 April. The Annals of Ulster—an Irish chronicle extending from 431 to 1540 CE—says of 912 "A dark and rainy year. A comet appeared." 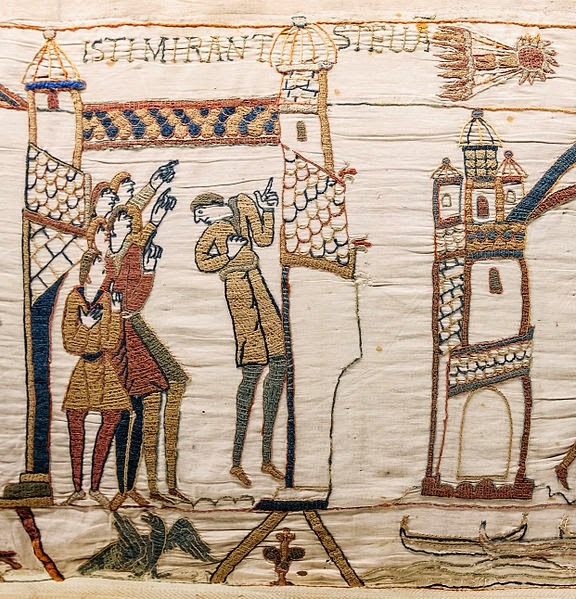 1066 saw the appearance of an invading Norman army in England and the appearance of the comet in the Anglo-Saxon Chronicle, in the Irish Annals of the Four Masters, and later in the Bayeaux Tapestry. The next appearance of Halley's is scheduled for 28 July 2061. *comet is from Greek and means "hair" or "long hair." We mentioned here that the Huns under Bleda and Attila negotiated a treaty with the Eastern Roman Empire. In 450, as sole ruler of the Huns after his brother Bleda's death, Attila put the Western Roman Empire in his sights. The Western Emperor's (Valentinian III) sister, Honoria, sent a message to Attila requesting help; she was betrothed to a senator named Herculanus who kept her confined. Attila considered Honoria's request for help as an offer of marriage, and thought her dowry should include half the Empire. Emperor Valentinian made it clear that Attila was misunderstanding the situation completely. Attila reacted as one might expect: he invaded Gaul in 451, attacking the town of Metz on 7 April and reaching Orleans (then called Aurelianum) in June. The general of the Western Roman forces, Flavius Aetius, left Italy for Gaul to counter the Huns. With support from the Visigoths, he reached Aurelianum on 14 June just as Attila had breached the city, chasing him off. (Attila was already in the city, but to remain when news came of an approaching army meant the chance they would be surrounded and besieged themselves.) The combined Roman and Visigothic forces caught up with the Huns on 20 June in the Catalaunian Fields (true location unknown, but presumed to be Chalons in the Champagne region). We are told by Jordanes that Attila, according to Hunnic custom, had a bird killed and its entrails examined to determine how the battle would go. The prediction was defeat for the Huns but death for an enemy commander. Theodoric, at the head of the Visigoths, was killed. When his son wanted to avenge him, Flavius convinced him to go home and secure the throne. As the Visigoths withdrew from the battlefield, Attila thought it was a ruse to lure him into a trap, so he withdrew the Hunnic troops and abandoned the battle. Some historians have seen the Battle of the Catalaunian Fields as a pivotal moment when the Huns were prevented from taking over Western Europe. But Attila was not opposed to continue his assault on the Empire. The following year he approached Rome with the goal of claiming Honoria after all. Pope Leo I met him at the edge of Rome, and Attila turned away. When Attila died a year or so later, the Huns became less of a threat to Europe. A 6th century Roman politician named Jordanes turned to writing history in his retirement. He wrote Romana, about Rome, and Getica, about the Goths (of whom he was one). He is the best contemporary source we have for information about the Goths. For by the terror of their features they inspired great fear in those whom perhaps they did not really surpass in war. They made their foes flee in horror because their swarthy aspect was fearful, and they had, if I may call it so, a sort of shapeless lump, not a head, with pin-holes rather than eyes. Their hardihood is evident in their wild appearance, and they are beings who are cruel to their children on the very day they are born. For they cut the cheeks of the males with a sword, so that before they receive the nourishment of milk they must learn to endure wounds. Jordanes had no trouble describing them as inferior despite the problems they caused for Rome. Tomorrow we will look at what happened when the Huns under Attila turned their sights back to Rome five years after they negotiated a treaty. Today is the anniversary of Attila the Hun's attack on the town of Metz in Gaul. In the 1st century CE, the Roman historian Tacitus mentioned a group of people living near the Caspian Sea. They were nomadic, and supposedly had come from the east. Tacitus called them Hunnoi. Ptolemy in 139 CE called them Chunnoi and said they were on the southern shores of the Black Sea. It is not certain if these two were the same peoples, or if they were the same as the Xiongnu people who lived north of China in the 3rd century BCE and later moved westward, as one 18th century scholar proposed. We know, however, that there was an "empire" of Huns established in eastern Europe by the 4th century CE. They were so feared, conquering and absorbing peoples and dominating their lands, that it has been suggested that the Huns caused the great westward migration of other groups into western Europe. 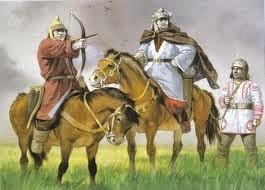 Its peak of power was under a pair of brothers, Bleda and Attila. They were nephews of the leader Rugila, and took over when Rugila died in 434. The Huns at that time had been causing trouble for the Eastern Roman Empire, and they were in negotiations with Emperor Theodosius II. Several tribes that had been conquered by the Huns had taken refuge within the borders of the Roman Empire, and the Huns wanted them "back home. "* Theodosius' legate agreed to push those tribes out of the Empire; the Empires of the Romans and Huns also agreed to trade with each other, and 350 pounds of gold as tribute was paid to the Huns to seal the deal (as well as gold ransoms for the Roman soldiers Huns had captured in recent fighting). The Huns then turned their attention to invading the Persian Empire, leaving Rome alone for the next five years. They eventually turned back to attacking Europe when conquering Armenia proved difficult, falling into conflict with Rome again. Bleda, the elder brother, ruled for 11 years. Upon his death, Attila took over. There has been speculation for centuries that Attila killed Bleda, but there is no evidence for it. 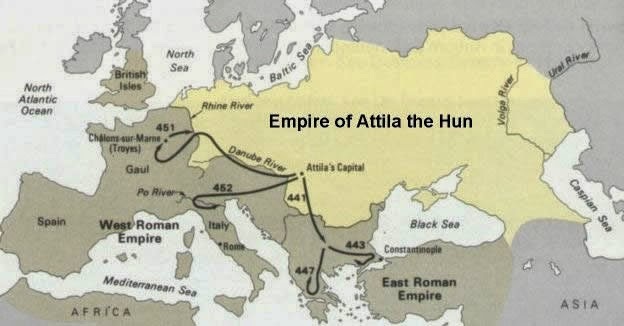 The Hun Empire lost its focus after Attila's death in 453. *Sounds a little like Putin annexing the Crimea. Nowadays, we place all racism and intolerance on the same level, and like to assume that a persecuted group would have empathy for any other persecuted group. Such is not the case, of course, nor has it ever been. Here is an example. Isaac Abrabanel (1437 - 1508) was a wealthy Portugese Jew, a statesman (when local government allowed him to be), and a scholar/philosopher. He experienced expulsion from his home for being Jewish. "I don’t know who told Yefet this practice of promiscuity among Black women, which he mentions. But in the country of my birth [Portugal] I have seen many of these people and their women are loyal to their husbands unless they are prisoners and captive to their enemies. They are just like any other people." There were other "truths" about blacks that Abrabanel accepted readily, however. Their (to Europeans) unusual skin color was accounted for by saying they were the descendants of Ham, the son of Noah who was cursed because he saw his father naked and drunk. Abrabanel accepted the Bible commentators—both Jewish and Christian—on this subject. "those who are as different [from other men] as the soul from the body or man from beast—and they are in this state if their work is the use of the body, and if this is the best that can come from them—are slaves by nature." These people—people who were not intellectually sophisticated, and who used their bodies more than their minds—were better off if they were ruled instead of being left as unguided savages. The other day I mentioned that King Alfonso of Portugal in the 15th century had a Jewish treasurer. He was a statesman and scholar as well, not to mention wealthy and a victim of the ongoing anti-Semitism. Isaac Abrabanel was born in 1437 to a prestigious family in Lisbon, Portugal. 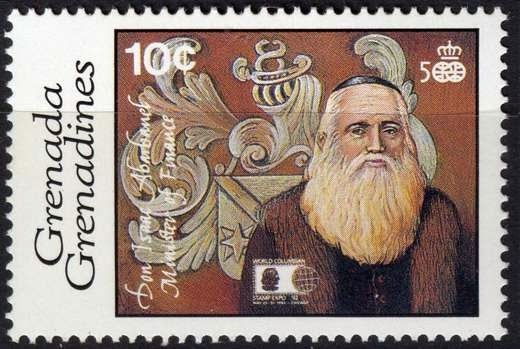 He studied rabbinic literature while growing up, but also considered as a mentor Joseph ibn Shem-Tov (d.1480), who wrote a book on economics (which hasn't survived; it is suspected to have been a revision of Aristotle's Economics). It was his understanding of economics as well as his general knowledge that brought him to the attention of King Alfonso V of Portugal. This position gave him some clout as well as being fairly wealthy in his own right. When the Portugese town of Arzila on the northern coast of Morocco was captured by Moors and the Jewish population sold as slaves, he was in a position to arrange collections of funds to gain their freedom as well as contribute heavily to the ransom himself. Alfonso's successor was not so friendly to Jews, imprisoning many; Abrabanel left Portugal for Spain under Queen Isabella of Castile. 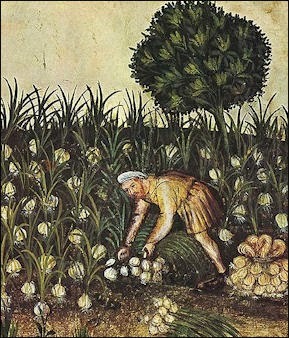 Although in 1492 Isabella would create (with Ferdinand of Aragon) the Alhambra Decree and expel Jews from Spain, at this earlier time she was willing to accept the help of a sharp financial man who could make sure royal revenues for the military were handled properly and the military was provisioned well. Unfortunately, the presence of Jews in Spain became a difficulty for the rulers, and the Alhambra Decree was produced in 1492. Abrabanel pleaded with Ferdinand, and offered him the sum of 30,000 ducats to reverse the decision—all in vain. His departure from Spain also meant forfeiting the chance to regain large sums of money that he had advanced to Ferdinand for the military. He spent a lot of time after that writing commentaries on the Old Testament, but misfortune prevented him from living a quiet life. He first went to Naples, but when the French conquered it he left for Messina, then Corfu, then Monopoli in Bari, Italy; finally, he settled in Venice, where his talents as a statesman were put to use negotiating a treaty between Venice and Portugal. Up until his death, he offered large sums of money to Spain to reverse the Alhambra Decree, but to no avail. He died in 1508 and was buried in the Jewish cemetery in Padua. The Siege of Padua a year later destroyed the cemetery, and the locations of many graves and remains were lost. Yesterday I alluded to a third option available to persecuted Jews in the Middle Ages who were forced into the choice between conversion to Christianity and expulsion from there home country. The un-offered third choice was to publicly choose conversion but privately maintain the practices of Judaism. One modern term for those who chose this way is "Crypto-Jews." There were a few terms for Jews who remained in Spain after the Alhambra Decree or in Portugal after its decree of expulsion. Marranos is a racist term: it means "pig" and was used to describe both Jews and Muslims whose dietary practices forbade eating pork. Conversion to Christianity did not remove the social stigma of being an "outsider" or "inferior," and Jewish converts who stayed in their home countries on the Iberian Peninsula were still treated poorly. 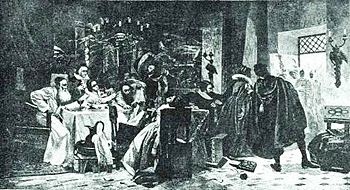 This explains why the Lisbon Massacre could happen in 1506: even years after Jews should have been gone from Portugal, evidence could be found of Jewish religious practices—or simple suspicion that conversos were not sincere—that stirred a mob to violence. In Belmonte, Portugal, a community of Jews survived for centuries, intermarrying to keep families Jewish and hiding every outward sign of their faith. The "Belmonte Jews" returned openly to Judaism in 1970 and opened a synagogue in 1996. When the Alhambra Decree gave Jews the choice of converting to Christianity or leaving the kingdoms of Castile and Aragon, tens of thousands—there are no accurate estimates; they vary between 130,000 and 800,000—began the search for a new home. Fortunately, shelter was closer than expected for some. Portugal had experienced an on-again/off-again anti-Semitism. 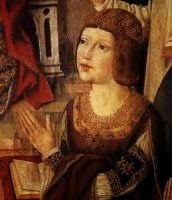 Many Jews who fled to Portugal wound up being persecuted or imprisoned under King John II (1455 - 1495), but King Alfonso V (1432 - 1481) had appointed a Jew as his treasurer. His successor, King Manuel I, was a very religious man, building religious buildings and trying to round up a Crusade against the Turks, but he was friendly to the Jews and released them from prison. Things seemed to be looking up. The tide had turned for Jews in Portugal. Thousands fled to Amsterdam, Constantinople, France and Morocco; even to the New World. 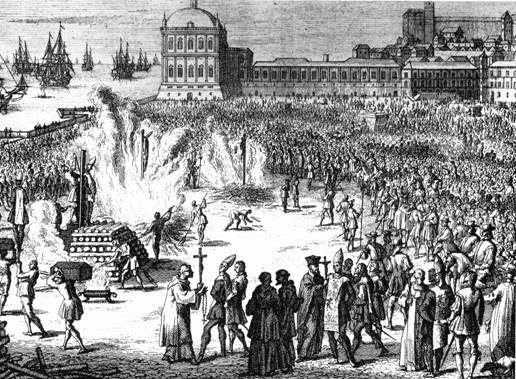 Not all left, which led to the Lisbon Massacre in 1506, when up to 2000 Jews (or people perceived to be Jews) were tortured and burned at the stake by a Catholic mob. Thirty years later, the Inquisition came to Portugal, creating more risks for anyone not seen to adhere strictly to Roman Catholicism. 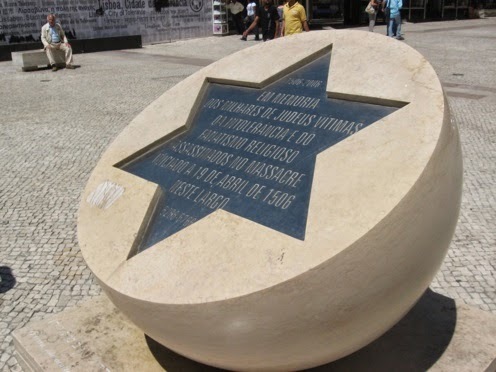 If the Jews were supposed to be expelled, how was it that the Lisbon Massacre seemed like a good idea? That would be because there was a third, unofficial option between expulsion and conversion. We will look at the Marranos tomorrow. *Her sister was Catherine of Aragon, King Henry VIII's first wife.